Want more stories about cybersecurity policy and politics? Sign up for this brand new newsletter here. President Trump’s surprising promise Sunday to help bring Chinese telecom giant ZTE back from the brink of collapse undercuts top law enforcement and intelligence officials, who have warned for years that the company’s products could be used for cyberespionage in the United States. ZTE has close ties with China’s government, and U.S. officials have raised concerns that its phones and other devices could be used as surveillance tools against Americans. But lawmakers, too, may try to intervene. After all, it was congressional investigators who sounded the alarm about possible cyberespionage by ZTE and Huawei in 2012, after an 11-month probe by the House Intelligence Committee concluded that the companies were essentially arms of the Chinese government that could be used as conduits for spying on American citizens and companies. And Rubio along with Sen. Tom Cotton (R-Ark.) 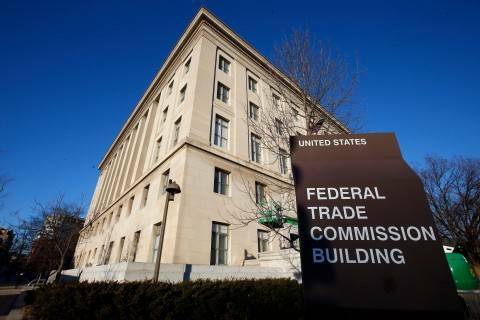 introduced a bill earlier this year that would bar the U.S. government from buying or leasing telecommunications equipment from the companies over those concerns. In February, FBI Director Chris Wray told the Senate Intelligence Committee that Americans shouldn’t use ZTE or Huawei products or services. 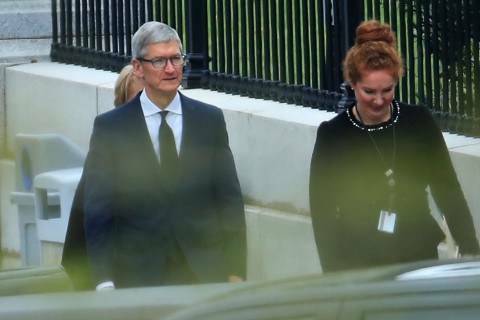 He was joined by the heads of the CIA and National Security Agency, and the director of national intelligence, who also cautioned against the public using ZTE's products. “We're deeply concerned about the risks of allowing any company or entity that is beholden to foreign governments that don't share our values to gain positions of power inside our telecommunications networks,” Wray testified. Given this, former national security officials tweeted their shock about the announcement Sunday. We don’t need to just pump the brakes, we need to throw the car in reverse and immediately retreat from this ludicrous idea that we are going to enable a counterintelligence threat like ZTE. We should not be making life easier for hostile intelligence services. But not everyone is as worried. Sascha Segan, a mobile analyst at PC Magazine, criticized the intelligence community for failing to detail the exact reasoning behind the alleged threat posed by ZTE, which rejects the idea its products are a security risk for Americans. A "I Voted" sticker is shown by a keyboard in the Voting Machine Hacking Village during the Def Con hacker convention in Las Vegas on July 29, 2017. REUTERS/Steve Marcus. PINGED: Here is your daily reminder that threats to election security are alive and well. Hackers with foreign IP addresses tried (and failed) to break into an election database in Knox County, Tenn., during the May 1 primary, HuffPost's Sam Levine reports. The county hired investigators to look into the crash of a public website displaying returns on election night, Levine writes: “In a report released Friday, Sword & Shield Enterprise Security said no election data was compromised in the apparent denial-of-service attack, but that they did discover an attempt to 'exploit the backend database behind the Web server.' "
"There is evidence of an active attack on the Web server between the hours of 7PM and 10PM unrelated to a typical Denial of Service (DOS) attack." "In addition to the active attack on the Web server, additional symptoms of a DOS attack occurred between 7PM and 10PM." "A large number of foreign countries (~65) accessed the Web site between 7PM and 10PM." County officials said the election site crashed for an hour but the voting data wasn't affected, according to the Associated Press's Adrian Sainz. David Ball, Knox County's deputy director of information technology, told Sainz that the vulnerability the researchers found while reviewing the cyberattack was fixed. 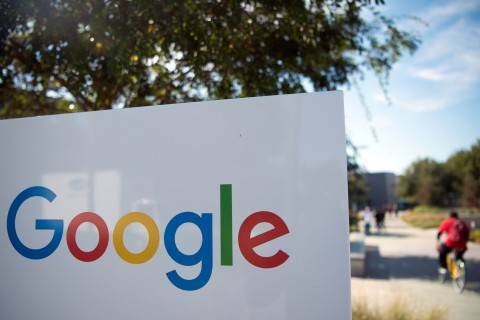 While Google is not changing its users' privacy settings or the information it collects on them, it is explaining its policy in a way that makes more sense, Mashable's Rachel Thompson writes. “Google is just improving 'user transparency' to comply with GDPR's stipulation that companies must provide 'clear and transparent notice' of how users' data is used,” Thompson writes. PWNED: Darien Huss, a researcher at the cybersecurity firm Proofpoint, found what he said looks like a North Korean tool to spy on iPhones, although the malware still appears to be in a stage of development, Forbes's Thomas Fox-Brewster reports. Huss told Fox-Brewster that he found the piece of spyware on a server that contains other spying tools linked to North Korean hackers. Huss told Forbes that it appears the tool was “not developed in house” by the hackers but instead purchased from a company. Additionally, an “obvious limitation to” the North Korean spyware is that it can be implanted only on an iPhone that has been jailbroken, according to Fox-Brewster. About a dozen Google employees are resigning in protest over the company’s continued involvement in a military pilot program known as Project Maven. — A former National Security Council official last year sought ways to surveil the communications of White House staff to suppress leaks, the Daily Beast’s Spencer Ackerman reports. "Ezra Cohen-Watnick, whom former national security adviser Michael Flynn brought onto the NSC as senior director for intelligence, sought technical solutions in early 2017 for collecting and analyzing phone and other data on White House colleagues for interactions with reporters," Ackerman reports. "He portrayed his desired leak hunt as an 'insider threat' detection effort, according to the ex-officials. Those who heard of it presumed it would focus on NSC staffers held over from the Obama administration. It is unknown whether Cohen-Watnick’s efforts actually resulted in any monitoring program." While it's unclear if this actually resulted in any monitoring program, a former NSC official told Ackerman: "This seemed designed to intimidate rather than protect national security." Cohen-Watnick later worked for computing giant Oracle and now serves at the Justice Department. — A Pentagon report says a military and veterans health care project that Trump's senior adviser and son-in-law Jared Kushner backed has problems so serious that patients could lose their lives, Politico's Arthur Allen reports. Digital health records company Cerner Corp. started installing its software for the military last year after the project was approved under the Obama administration in 2015. Kushner recommended that the Department of Veterans Affairs choose the same company, according to Allen. — Sen. Ron Wyden (D-Ore.) has put a hold on the nomination of Christopher Krebs for undersecretary of the Department of Homeland Security's National Protection and Programs Directorate to demand that the government provide details about tracking devices known as stingrays, Cyberscoop's Sean Lyngaas reports. 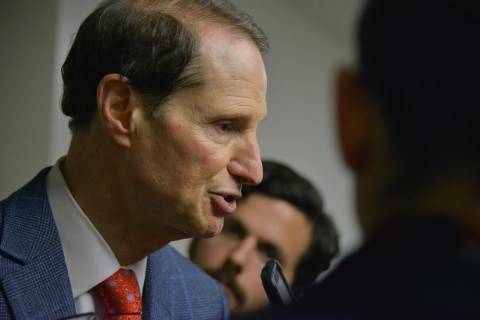 “In a congressional notice Thursday, Wyden said he was objecting to Senate floor consideration of the nomination until the department makes public a presentation it gave to federal employees on Stingrays in February,” Lyngaas writes. 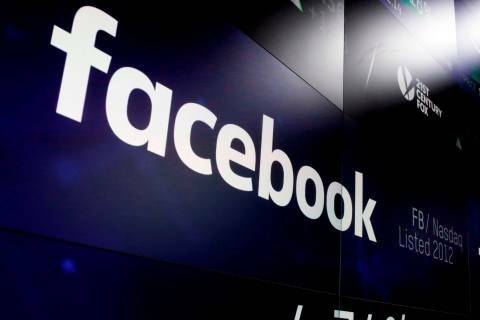 The possible appointment of Andrew Smith, who represented Facebook, Uber and Equifax and others, raised the prospect of frequent recusals from investigations. — A group campaigning to protect children from “commercialism,” along with two lawmakers, have questions for Amazon.com and its Echo Dot for kids, The Washington Post's Hayley Tsukayama reports. “The advocates led by the Campaign for a Commercial-Free Childhood said Friday that the presence of voice-activated speakers on children's nightstands is an unwelcome novelty that could prove intrusive or potentially disruptive to their development,” Tsukayama writes. — The Council to Secure the Digital Economy, an industry group founded by telecom and tech companies, said on Friday that its focus in 2018 will be on countering botnet attacks and preparing to respond should a major cyber emergency occur, Inside Cybersecurity's Charlie Mitchell writes. "We reject the excuse that getting the most out of technology means trading away your right to privacy." — The personal information of 895 patients at two San Francisco hospitals was breached last year between Nov. 20 and Dec. 9, the San Francisco Chronicle's Catherine Ho reports. — Chili's Grill & Bar announced that some of its customers' payment information was compromised at certain restaurants as a result of a data breach. “Based on the details of the issue currently uncovered, we believe that malware was used to gather payment card information including credit or debit card numbers as well as cardholder names from our payment-related systems for in-restaurant purchases at certain Chili’s restaurants,” the company said. All good pts. I think the difference is probably one of kind, not degree. Hacking is what makes this different. If CIA, or a dismayed CIA officer, is leaking, that's a familiar situation. If Russian intel is leaking CIA documents, it's potentially far more disorienting, I think. CyberReady 2018 Cybersecurity/Cyber-Intel Conference at MacDill Air Force Base in Tampa. The Internet of Things World conference starts in Santa Clara, Calif. Homeland Security Secretary Kirstjen Nielsen appears before the Senate Homeland Security and Governmental Affairs Committee tomorrow. The Senate Intelligence Committee holds an open hearing on the nomination of William R. Evanina for director of the National Counterintelligence and Security Center tomorrow. The AFCEA Defensive Cyber Operations Symposium starts in Baltimore tomorrow. The third annual Cyber Security Summit: Dallas is held in Dallas tomorrow. The Cloud Security Alliance Federal Summit 2018 is held in Washington tomorrow. The 2018 Adobe Digital Government Symposium is held in Washington tomorrow. The Senate Intelligence Committee holds a closed hearing on May 16 on the intelligence community's January 2017 assessment of Russian meddling in the 2016 election. House Homeland Security Committee markup on May 16 of the DHS Industrial Control Systems Capabilities Enhancement Act of 2018, a cybersecurity bill introduced by Rep. Don Bacon (R-Neb.). USTelecom Cybersecurity Policy Forum in Washington on May 16.